We will use a Plone pre-configured Heroku instance. Once deployed, create a Plone site. 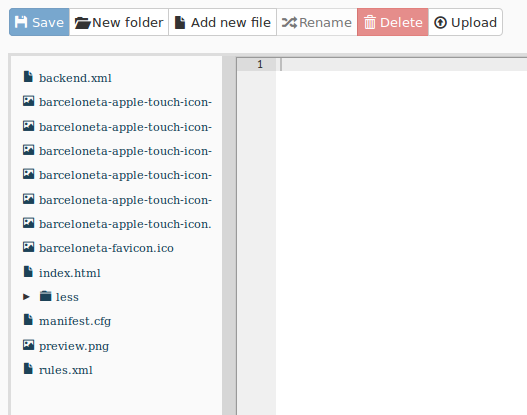 Inheriting from the default Barceloneta theme. In this section we’ll look at the first approach, part II will explore the second approach. Diazo is a theming engine used by Plone to make theming a site easier. At its core, a Diazo theme consists of an HTML page and rules.xml file containing directives. You can find extended information about Diazo and its integration package plone.app.theming in the official docs: Diazo docs and plone.app.theming docs. Diazo rules inject the content into any static theme. To create our playground we will copy the existing Barceloneta theme. index.html: the static HTML of the theme. To better understand how your theme is arranged, start by reading the manifest.cfg file. In the theming tool, open manifest.cfg spend a minute or two looking through it, then see if you can answer the questions below. Where are the main rules located for your theme? What property in the manifest.cfg file defines the source CSS/Less file used by the theme? What do you think is the purpose of the prefix property? The main rules are defined by the rules property (you could point this anywhere, however the accepted convention is to use a file named rules.xml. The development-css property points at the main Less file, when compiled to CSS it is placed in the location defined by the production-css property. Notice the addition of userrole-manager. Look back at the <body> classes for a manager, then see if you can answer the following questions. What other roles does the manager have? Can you see other differences? What do you think the plone-toolbar-expanded class does? The plone-toolbar-expanded class is used to control styles used by the expanded version of the toolbar. Let’s open rules.xml. 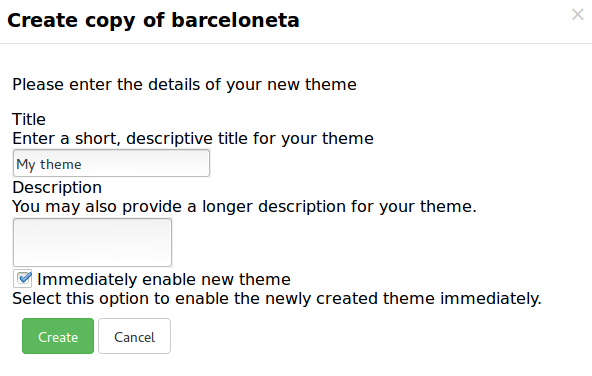 You will see all the rules that are used in the Barceloneta theme right now. For the time being let’s concentrate on how to hack these rules. Suppose that we want to make the “above content” block (the one that contains breadcrumbs) conditional, and show it only for authenticated users. This rule states that the element that comes from the content (Plone) with the id #viewlet-above-content must replace the element with the id #above-content in the static theme. We want to hide it for anonymous users (hint: We’ll use the <body> classses discussed above). The attribute css:if-content allows us to put a condition on the rules based on a CSS selector that acts on the content. In this way the rule will be applied only if the body element has the class .userrole-authenticated. 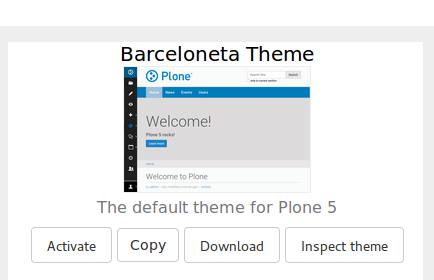 We will learn more about Diazo rules in TTW Theming II: Create A Custom Theme Based On Barceloneta. Normally you would place this in a separate file to keep the main one clean but for this example it is enough. Go back to the Plone site and reload the page: voilá! At the moment you need to “Build CSS” from the main file, the one declared in the manifest (in this case less/barceloneta.plone.less).